Join the thousands of people who experienced a dramatic increase in flexibility, strength, and dexterity throughout their whole body by taking advantage of the brain's remarkable ability to change for the better. Experience greater flexibility, strength, dexterity, and ease of movement with our foundational program NeuroMovement® Whole Body Fitness. Through the Anat Baniel Method® and NeuroMovement®, tap into the remarkable ability of your brain to create new patterns and possibilities and reach new levels of well-being and vitality in body and mind. In this program, the focus is on different areas of the body to insure sufficient connections in the brain that allow it to successfully organize basic and more complex movements. Each gentle movement lesson will help map the areas of focus more fully in the brain and also form new connections and relationships between different parts of the body. The program includes six 30-minute NeuroMovement video lessons and a special bonus video Introduction to the Anat Baniel Method® and NeuroMovement®. 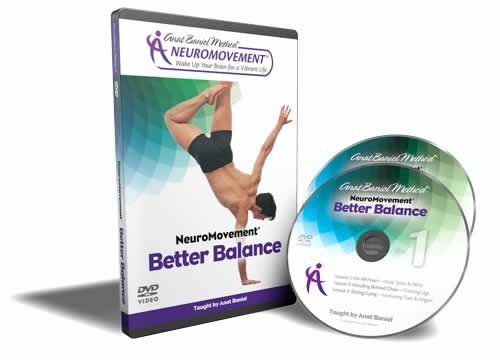 The NeuroMovement Whole Body Fitness is the foundational program for all other NeuroMovement programs and should be completed first. 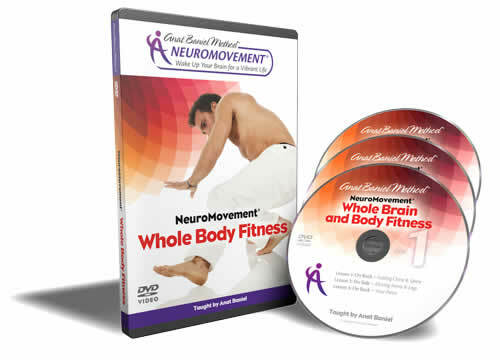 This program is number 1 in the 4-part series of NeuroMovement® Whole Brain & Body Fitness video programs.